Sat. 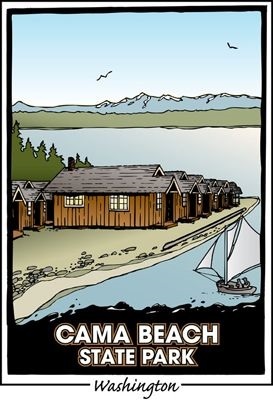 June 8th, 2019 - Cama Beach State Park, Camamo Island, WA - Make a Cama Beach Crankie + we are performing two stepdance/crankie shows in the evening. Link with more info to follow. 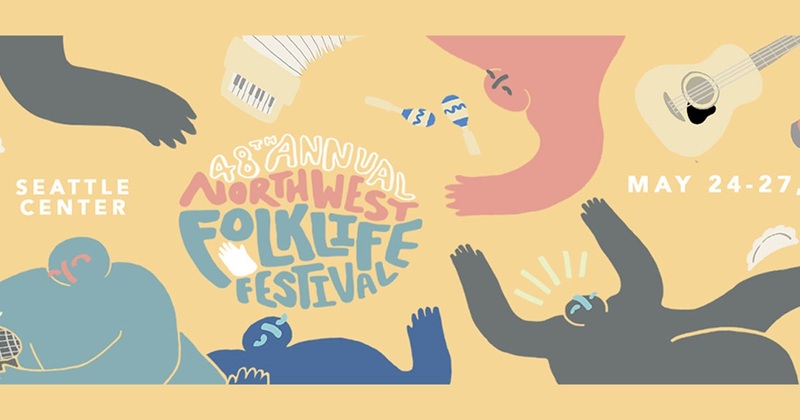 Sunday, May 26th, 2019 - The NORTHWEST FOLKLIFE FESTIVAL, Seattle, Washington. 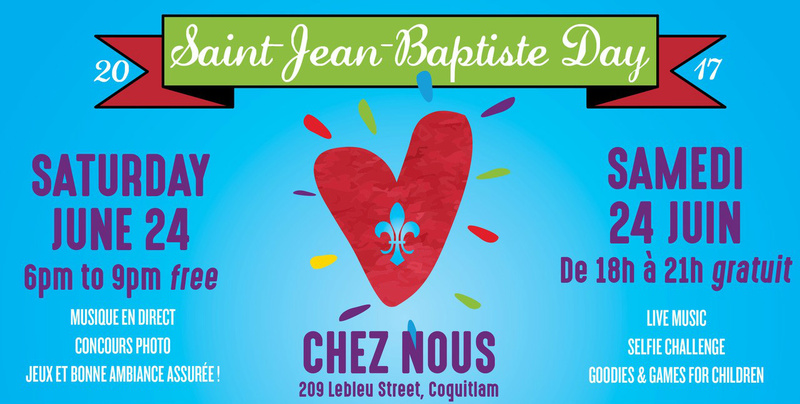 We will be at the Quebecois Jam Session on that Sunday. More details to follow! July 26th - 28th, 2019 - We return to the MISSION FOLK MUSIC FESTIVAL. Set in beautiful Mission, British Columbia with the mountains in view. A magestic setting and fabulous music. More details to follow. Sat. 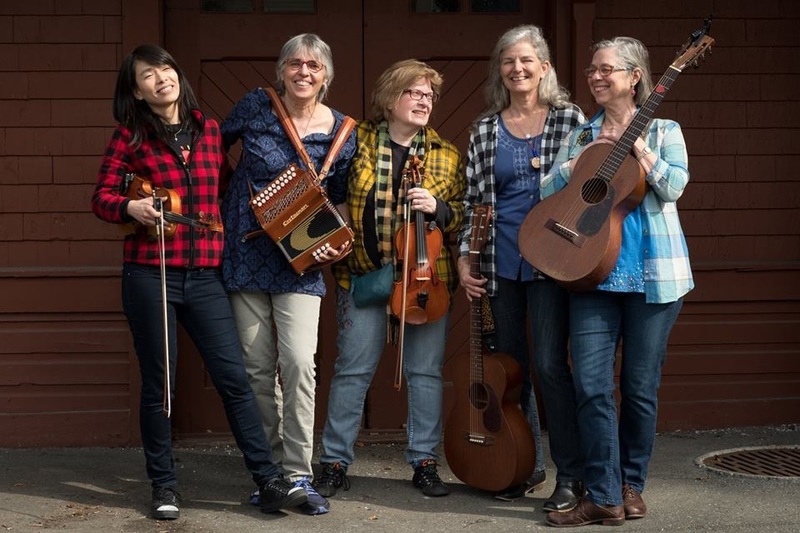 Sept. 14th, 2019 - Pioneer Days Festival at the Job Carr Museum in Tacoma, WA. 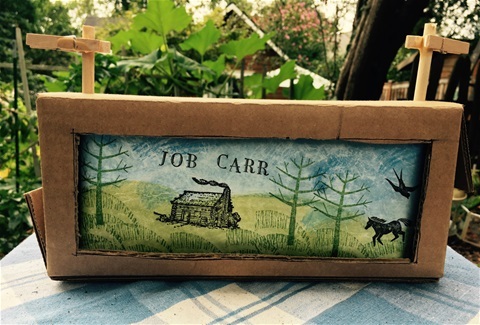 Make and take home your own Job Carr Cabin Crankie plus two stepdance/crankie performances with special guest Dejah Leger! 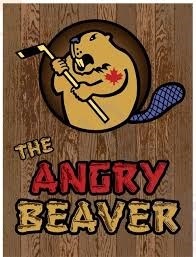 Monday, Oct. 14th, 2019 - The Angry Beaver in Seattle, Washington. Celebration Canadian Thanksgiving with special guest, Dejah Leger . Podo shoes in the cabin. The word PODORYTHMIE is Quebecois for "foot rhythms". It is also the name of a a five member group hailing from the U.S., France and Canada. They are known for their high energy and good time performances of French Canadian music and dance. Fiddle, accordion, songs and lots of hard shoe step dancing interspersed with crankie (moving panorama) shows makes their performances unique. Photo by Doug Plummer, thanks Doug! FESTIVAL DU BOIS, March 22-25, 2019, 2018, 2017. This festival is incredible every year. We were honored to be a part of it and to share the stage with such talented bands. Every year we think it can't get better than this and they our minds are totally blown with the amazing musicians and dancers they bring to the stage. More information about the fest here! Sue made this flyer. It's watercolored, machine-cut images glued to a white Tyvek "paper", then backlit. CRANKIE SHOW WITH PODORYTHMIE - Sat. Jan. 12th, 2019 in Seattle. Frontier Home is a very special place to perform. Small and intimate and homespun. The perfect venue for spinning crankie tales. Here is the Facebook event page for more information. 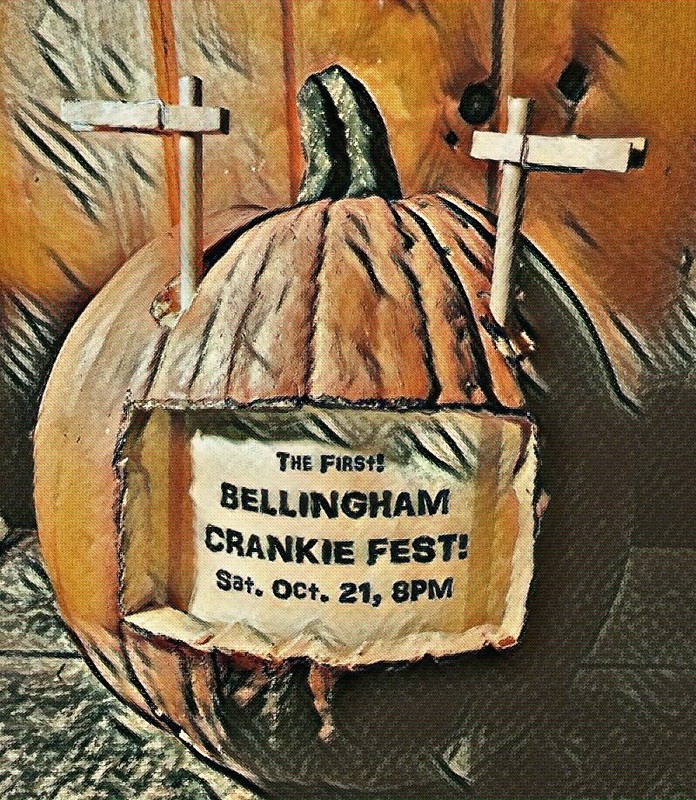 The First Bellingham Crankie Fest! Sat. 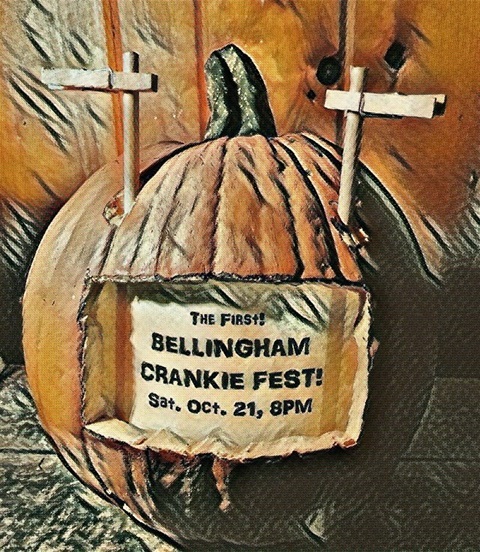 Oct. 21st, 2017 at the Bellingham Alternative Library, 519 E. Maple Street in Bellingham, WA. Dejah Leger, Alexander MacLeod, Sue Truman with Podorythmie, Future Man, Harper Stone and more!! SPOOKY CRANKIES! Kids and adults made crankies using stamp sets of "ships at sea" and the Job Carr cabin! 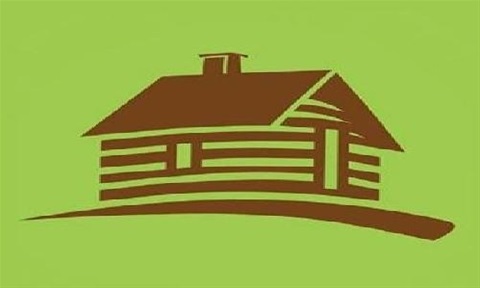 THE JOB CARR MUSEUM We return to Pioneer days in Sept. 2019 (also 2018, 2017). 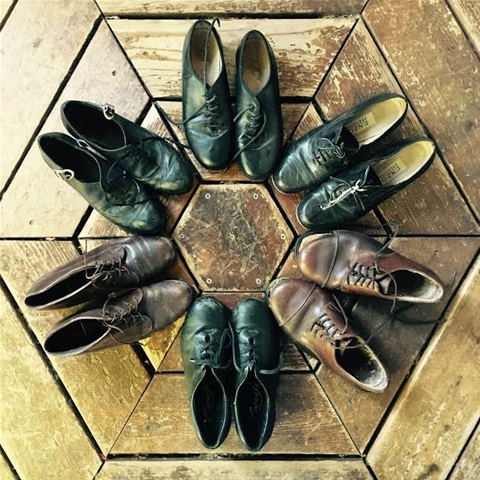 Fiddle and accordion tunes, hardshoe stepdance and crankies (storytelling machines)! AND will will give two MAKE AND TAKE HOME YOUR OWN CRANKIE workshops. We LOVE the Job Carr Museum! They offered many other heritage craft activities using everyday 19th century items including cranking hand-cranked coffee grinders and mangles! Great fun! 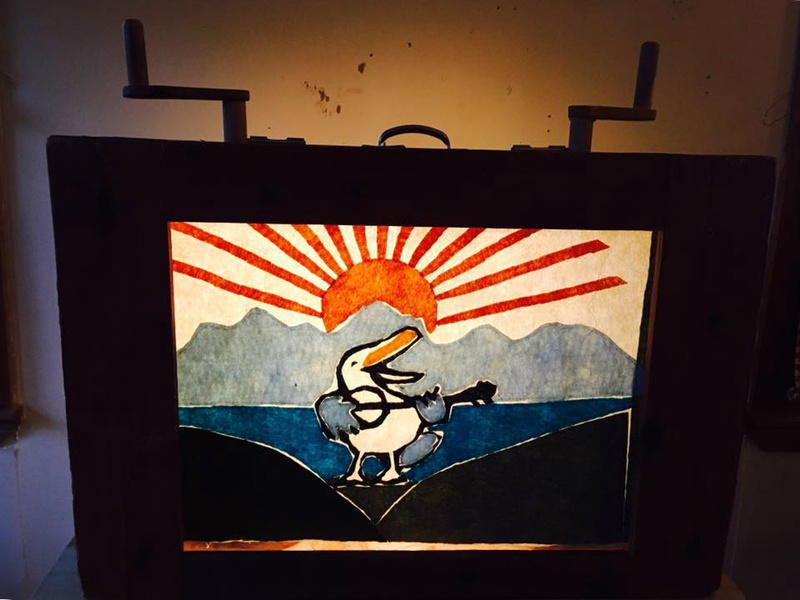 For the Vancouver Folk Music festival, Sue is working on the Pete Seagull crankie, the mascot of the festival. 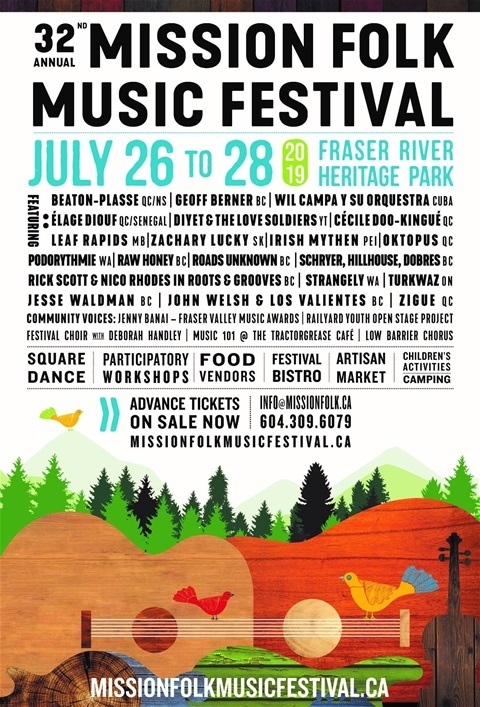 VANCOUVER FOLK MUSIC FESTIVAL - July 15th and 16th, 2017. 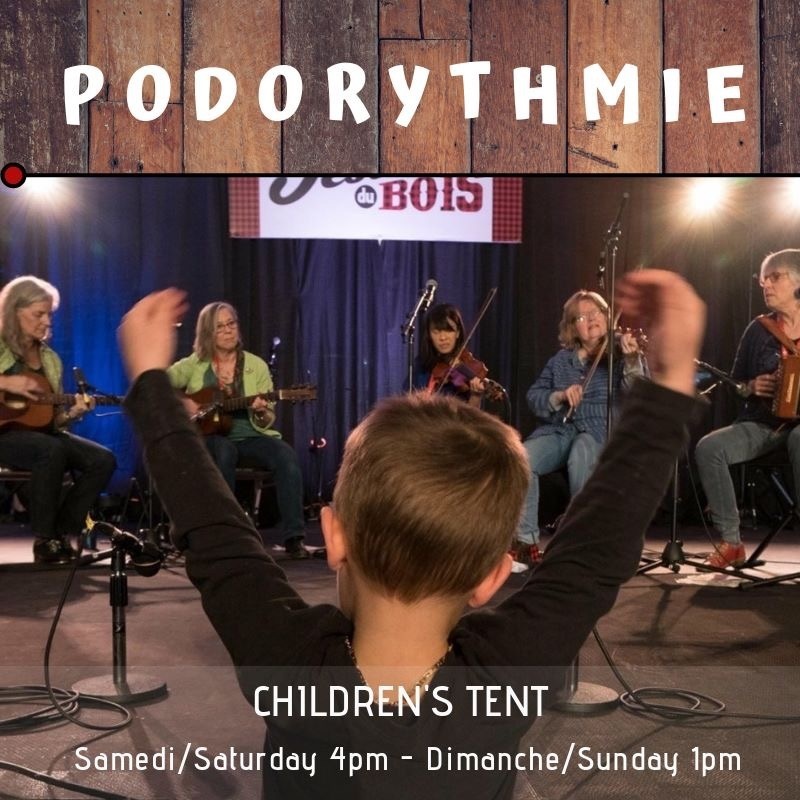 Two busy days of crankie (moving panorama) workshops, performances and jam sessions in the Francophone Tent! Sue adapted one of her crankies to tell a story about Pete Seagull, the festival mascot! It was like an old fashion kitchen party at Chez Nous. Inter-generational. We made many new friends. 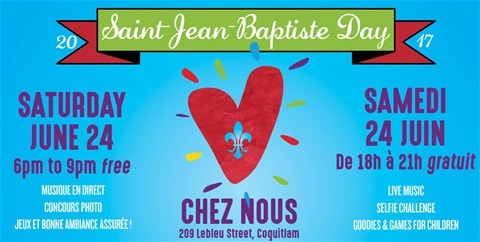 CHEZ NOUS in Coquitlam, BC 2018, 2017, 2016 - Tunes, song, stepdancing, crankie show (hand-cranked storytelling machines) and limberjack, dance competitions. The grand finale at NW Folklife Festival's Crankie Fest! photo by Doug Plummer. NORTHWEST FOLKLIFE FESTIVAL 2018, 2017, 2016, 2015, 2014, 2013, 2012, 2011, 2010!!! - Seattle, Washington, Northwest Folklife Festival. We got our start at the NW Folklife Festival in 2010. This is the biggest festival of it's kind in the US. 250,000 people attend over the three day Memorial weekend. It's free to attend but donations are much appreciated. 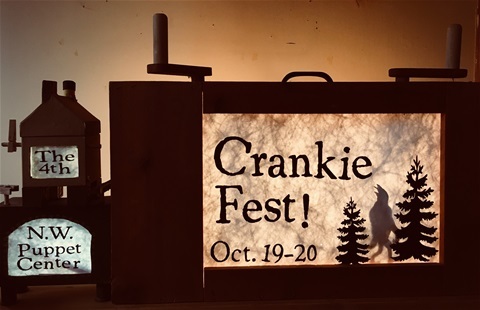 Sue Truman started the Crankie Fest Showcase which has now grown to include many new crankie artists every year. Thank you to Starbucks for their continued support of the Seattle Storytelling community. 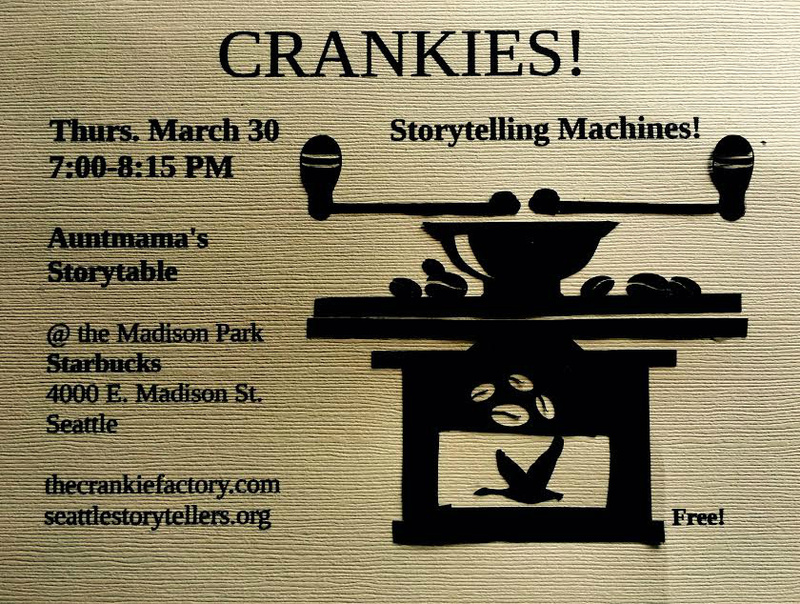 AUNTMAMA'S STORY TABLE - We spun some tales and cranked some crankies at Seattle's Storyteller's event in March. So inspired by the other storytellers especially Mary Anne Moorman AKA Auntmama. Thanks for the invitation and we will be back! 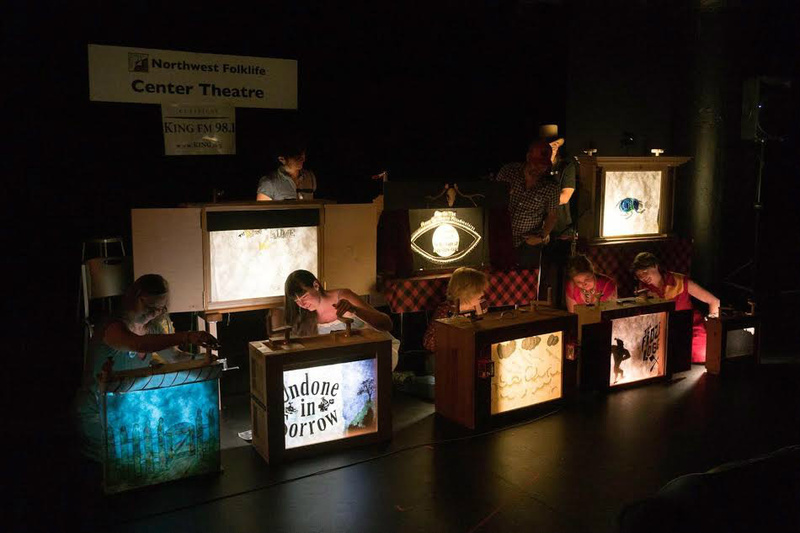 It was a full house at the NW Puppet Center! The best crankie audience! NW PUPPET CENTER'S 4TH CRANKIE FEST! Sat., Oct. 1st, 2016. 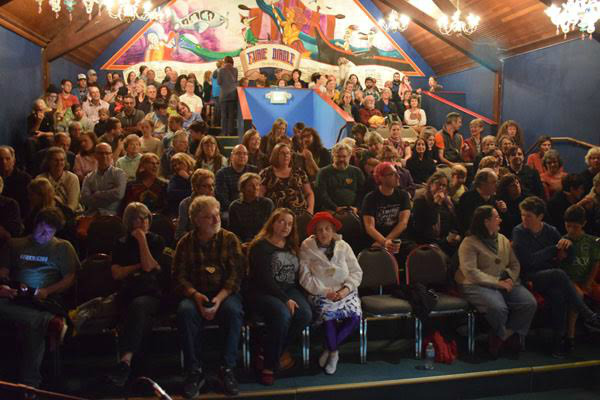 The festival was a sold out success and crankie magic was made. Katherine Fahey, Dejah and Louis Leger, Squirrel Butter also performed. Cil, Prairie and Julia stepping at The Garden House to a SRO crowd. Photo by Doug Plummer. THE GARDEN HOUSE - February 2016, Prairie, Cil and Julia stepdancing to a full house at The Garden House with Sue on fiddle and Louis Leger on accordion, subbing for Pascale.